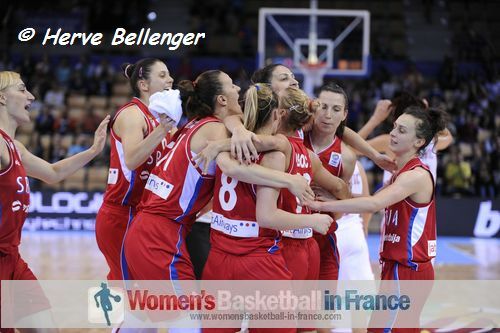 Belarus, the Czech Republic and France are for sure the EuroBasket Women 2013 quarter-finalists after the Group F results from the second round of games. However for Croatia, their chance of playing at the 2014 FIBA World Championships for Women is gone due to their loss to Serbia. The final spot in the quarter-final from this group will be decided in the final round of group games. 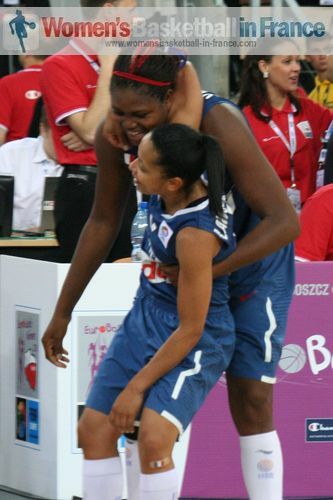 A victory for Serbia against the Czech Republic eliminates Great Britain. However if Serbia loses then Great Britain can qualify if they beat Croatia. In terms of final group placings nothing is decided: France come away as Group F winners if they beat Belarus in their final game, otherwise Belarus will take first place. If Belarus end up losing to France then they can finish in second or third place depending on other results. The Czech Republic can finish as high as second but no lower than fourth. Serbia have the most interesting range because they can also finish as high as second but also face elimination by finishing in fifth place while Great Britain can finish as high as fourth. In the opening game of the day Serbia clocked up their third straight victory in the competition by defeating Croatia (77-64). Serbia put the first points on the board with about 56 seconds played and then stayed in front all the way to the end. Ana Dabovic, Serbia's leading scorer during the first 20 minutes with 12 points was unable to play for the last 19 minutes of the game. She had received a knock to her knee late in the second quarter. During a press conference with the Serbian media, Marina Maljkovic (head coach) said that the injury was not as serious as first feared. In Davovic's absence, Jelena Milovanovic picked up the scoring with 10 second-quarter points to finish the game with 19 points. 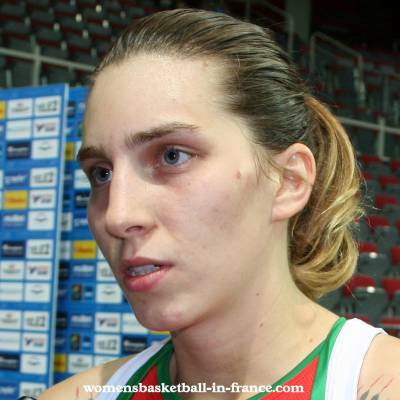 Her sister Milica Dabovic also finished in double digits with 11 points. For Croatia EuroBasket Women 2013 is over. They cannot qualify for the next phase although they must pick themselves up for one last match before returning home. Great Britain huffed and puffed for 30 minutes while giving Belarus a hard time in the second game of the day. Leading (46-43) going into the final quarter Great Britain had one foot in the quarter-final. However things changed dramatically during the final ten minutes with Belarus regaining their shooting touch to blast their way past Great Britain 28-15 to win the match (71-61) and secure a place in the quarter-final. Katsiaryna Snytsina (in picture) led a balanced scoring attack with 15 points while Tatsiana Likhtarovich and Anastasiya Verameyenka followed up with 14 and 12 points respectively. Two other players in double digits with 11 points each were Aliaksandra Tarasava and Yelena Leuchanka (13 rebounds). For Great Britain every player that played over three minutes scored but only Jo Leedham reached double digits with 16 points. France had to work in keeping their EuroBasket Women unbeaten record despite a flattering scoreline (64-49) against the Czech Republic. 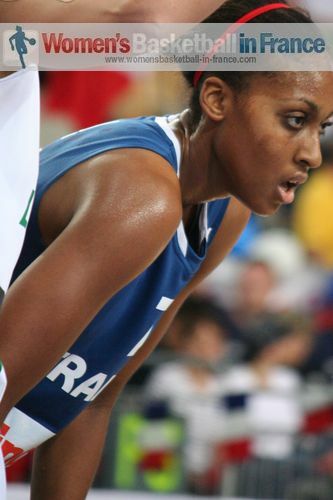 Sandrine Gruda was in electrifying form with 21 points and 10 rebounds. Isabelle Yacoubou-Dehoui also picked up 10 rebounds while scoring 14 points. In this match France were not able to hit a shot from beyond the arc 0-from-10. But their control of the offensive boards always gave them the edge. For the Czech Republic the performance of Petra Kulichová and Katerina Elhotova on the offensive end with 10 and 9 points is encouraging as both players have been so far invisible in this tournament.